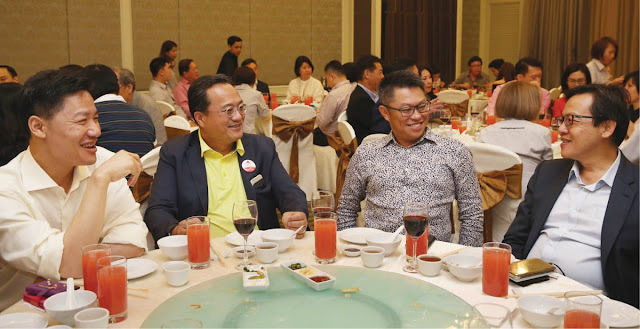 Although the overall transaction volume has fallen, Penang’s housing market looks more resilient than other major markets such as Kuala Lumpur, Selangor and Johor, based on transaction volume, said TheEdgeProperty.com product and business development director Alvin Ong. The transaction volume in Penang for the period of 1H2015 to 1H2016 has dropped 25%. In comparison, Kuala Lumpur, Selangor and Johor’s transaction volumes have dropped 35%, 36% and 29%, respectively. “However, Penang’s average transaction prices for residential properties overall have remained pretty flat compared with the other major states which have recorded increases of between 6% and 15%. “One of the reasons could be because in the past decade or so, Penang’s housing prices have seen the highest growth compared to the other states in Malaysia,” he observed. Based on an analysis of data collated by TheEdgeProperty.com comparing 2005 with 2015 — on average, the housing prices of Penang have gone up by 2.4 times compared to the national average of 2.14 times, Ong said during his presentation on the Penang housing market at the recent TheEdgeProperty.com networking and appreciation dinner for property developers in the northern region including Penang and Kedah. Ong also noted that there was an increase in overhang levels in Penang which has grown by about 109% over the period of 1H2015 to 1H2016. This is much higher than in Johor and Selangor where overhang levels have increased by 46% and 40%, respectively. “The overhang was contributed primarily by the over RM500,000 segment which has almost tripled in the past one year,” he said. Looking at the past housing transaction data on Penang mainland between 1Q2013 and 3Q2016, Ong said some areas on the mainland appeared to be more resilient than other areas. “In terms of transaction volume, Bertam and Seberang Perai seem to be more resilient dropping only 9% in 3Q2016 from 1Q2013. In terms of growth in capital gains, Alma (11%), Butterworth (7%) and Bukit Mertajam (5%) have done pretty well compared to other areas on the mainland,” he said. The demand for condominiums on the mainland has held up better than for landed homes, dropping only 5% in terms of transacted volume in 3Q2016 from 1Q2013. In comparison, landed homes have seen transactions drop 20% to 26% during the same period. Interestingly, the transacted volume for residential properties on the mainland priced above RM1 million saw an increase of 6% while the under RM1 million segment has dropped between 7% and 25%, according to Ong. The residential property trends are slightly different on Penang Island. “[Over the 1Q2013 to 3Q2016 period], semi-detached houses appeared to have been more resilient than other property types in terms of transacted volume, pricing and overhang. “Demand-wise, Sungai Ara has done quite well where transaction volume has only decreased by 6%. “In terms of capital growth, Gelugor has seen the highest price increase of 13% compared to the other areas on the island,” he said. Gelugor was followed by Bayan Lepas and Ayer Itam, where the average transacted prices of residential properties have increased by 7% and 4%, respectively. Based on property types, condominium transactions have dropped only 10% in terms of transacted volume while price growth has remained flat over the period of 1Q2013 to 3Q2016 whereas overhang has increased by 172%. 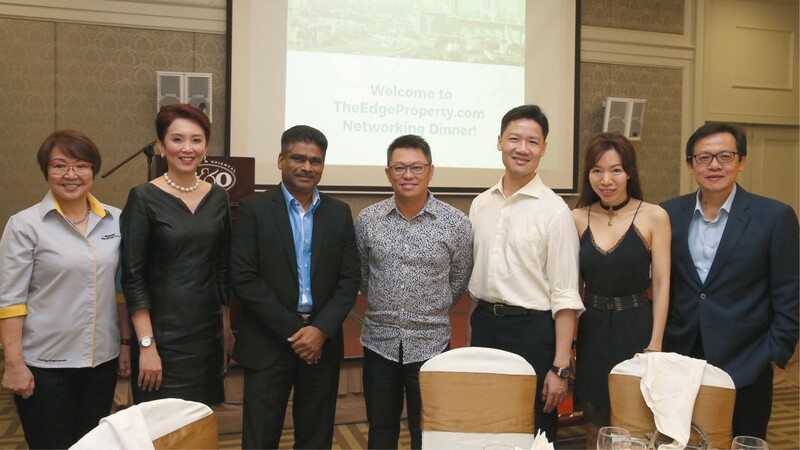 About 50 guests from the property development industry attended the dinner organised by TheEdgeProperty.com on Feb 24 held at Eastern & Oriental Hotel, Penang. Among them were Eco World Development Group Bhd (EcoWorld) chief operating officer Datuk S Rajoo, Eupe Corporation Bhd group managing director and chief executive officer Datuk Beh Huck Lee, Hunza Properties Bhd executive director Lily Tan, Eastern & Oriental Bhd senior general manager for group marketing and sales Wayne Wong, IJM Land Bhd senior general manager for the northern region Datuk Toh Chin Leong who is also Penang Rehda chairman and S P Setia Bhd executive vice-president Datuk Koe Peng Kang as well as committee members of the Penang branch of the Real Estate and Housing Developers’ Association (Rehda). In her welcoming remarks, managing director and editor-in-chief of TheEdgeProperty.com Au Foong Yee noted that the real estate industry is undergoing a challenging period and although many predictions have been made, no one knows for sure when the property market will recover. “We do not know what is going to happen in the future but one thing we are sure of is that people still regard real estate as a very exciting and impactful investment.